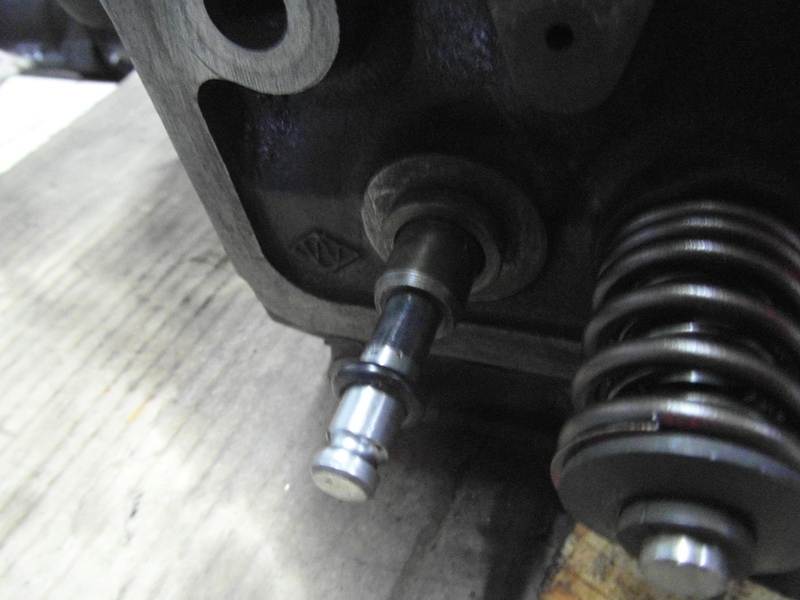 Time to put the cylinder head together, here you can see the additional "O" ring slid over the valve stem. These have been fitted as an aid to control oil flow over the valve stem, as we are fitting the additional oil feed pipe from the main gallery to the rocker shaft. This pipe is to eliminate oil starvation to the front of the rocker shaft and rocker bearings, a fairly common problem. 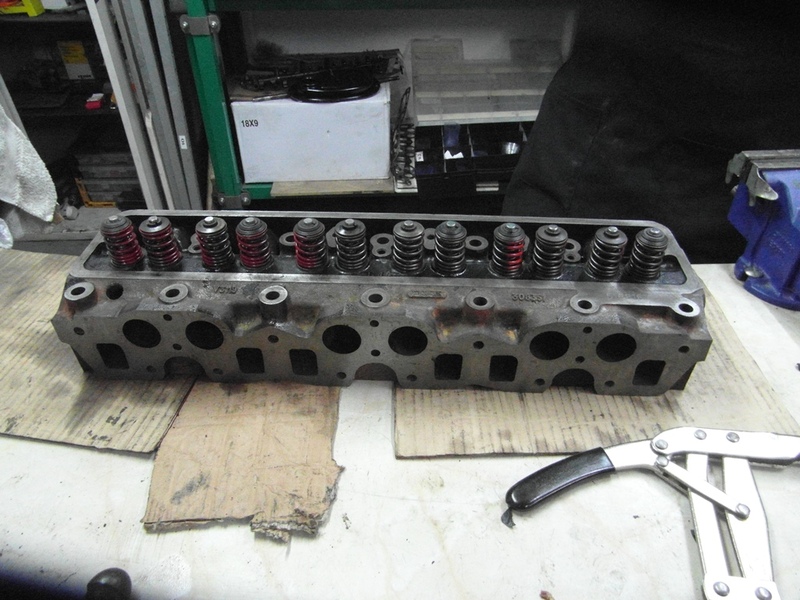 Time to refit the cylinder head, having had two previous trial fits. Payne gaskets are used. 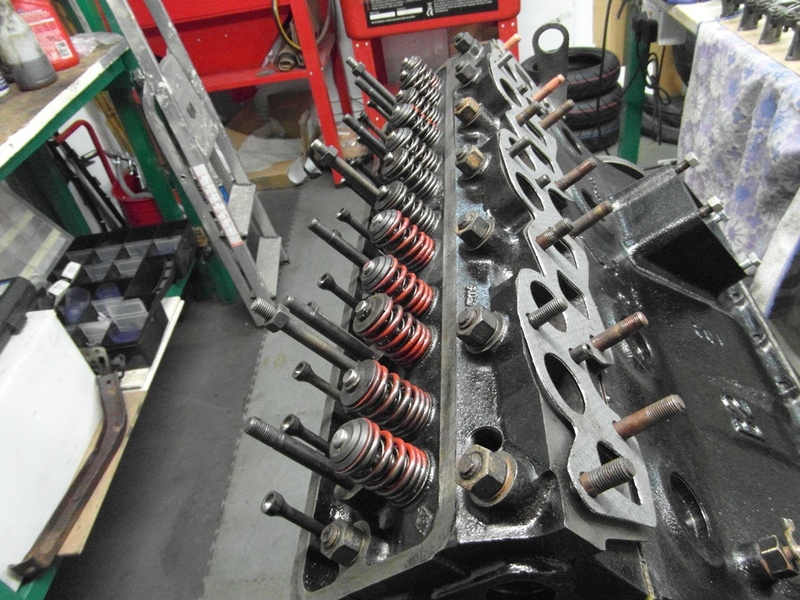 Once the rocker shaft and pushrods were fitted the head was torqued down. At this point it may be a good time to note that each push rod, cam follower and rocker is back exactly where it started. These are items that should NOT be mixed up, ever, as these are working parts that "bed in" together. The crank was turned several times through the process to ensure everything was sat correctly and all the valves were operating as they should. John has set the valve clearances at this point, although once the engine has run, everything will have to be checked again. 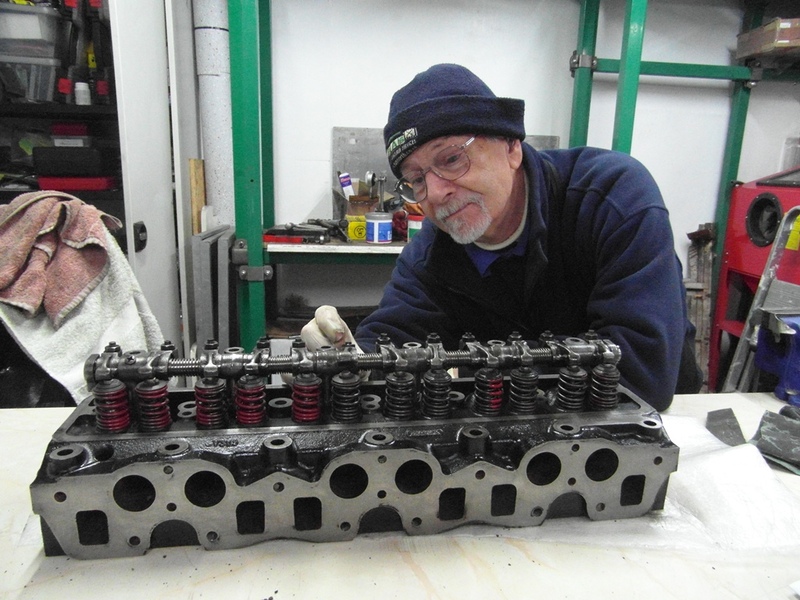 At this point, John decided it was time to add some of the auxiliary parts to the front of the engine. Water pump housing, pump, thermostat, temperature sender etc. All of which required attention. 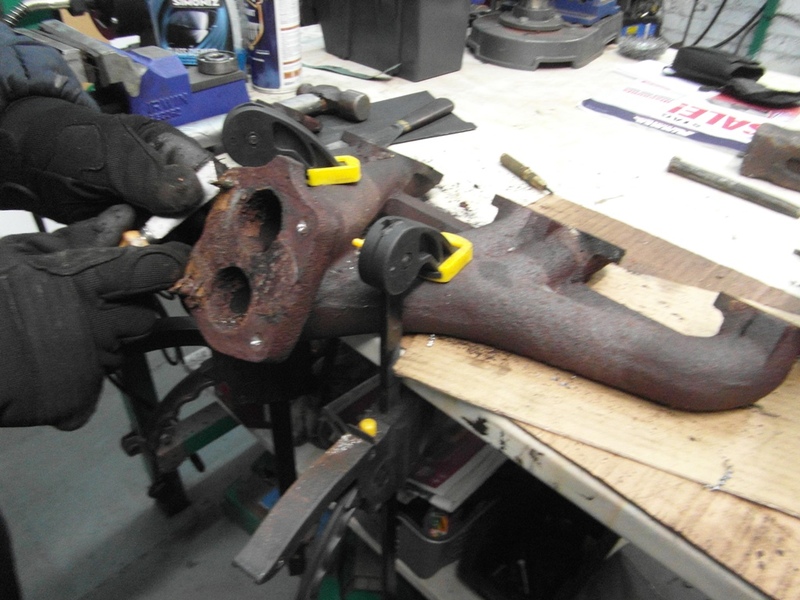 The exhaust manifold required it's own kind of work, as you can see was in poor condition, no real surprise, so starting with a good abrasive blast then a rotary wire brush and then the broken studs had to be drilled out, threads re-tapped and new studs fitted. The result of that work was very pleasing. 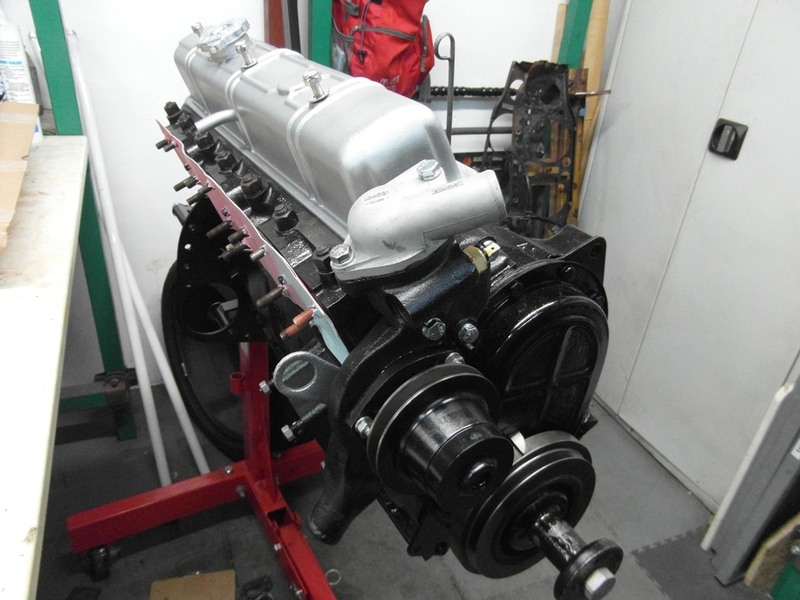 It is just held in place to see how it looks and awaits the throttle bodies. 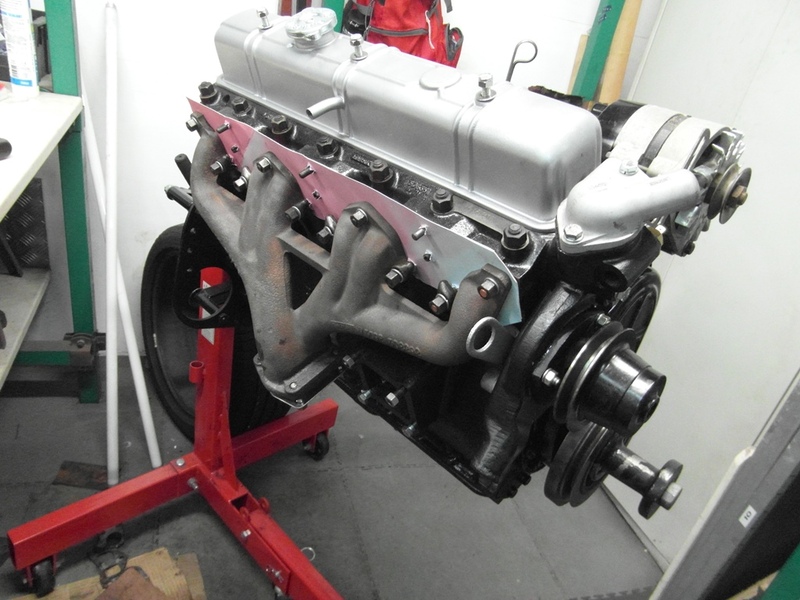 The intention is to paint the exhaust manifold in a high temperature paint for the job. The cardboard "gasket" is there just to keep any unwanted items getting into the ports!